BOSTON: PR firms in the Boston area are walking a fine line between business as usual and respectful reflection after Monday's bombing at the Boston Marathon. O'Neill and Associates has provided PR assistance to Tufts Medical Center and Mount Auburn Hospital, two institutions treating those injured during the attack. Both were clients before the bombing. A Tuesday press conference at Tufts featured several chief medical officials at the hospital. Also attending was patient Nicholas Yanni, who said he and his wife were watching a friend finish the race when a bomb detonated 10 feet away from where they were standing, sending shrapnel their way and cutting them both. Thomas O'Neill, CEO of the firm, said companies that chose to open for business on Tuesday are sending a message. “It shows that they can't impede the progress of Boston, and they can't hinder the spirit of people living in Boston,” he explained. One O'Neill employee ran in the marathon and witnessed the explosions. She is taking time off to spend with family, he said. Rasky Baerlein Strategic Communications is working with long-time client Lasell College to pitch professor and terrorism expert Dana Janbek to the press. The firm pitched her to various media and Janbek was interviewed on CNN and FOX25, said Sandi Goldfarb, VP of the higher education and nonprofit practice at the firm. 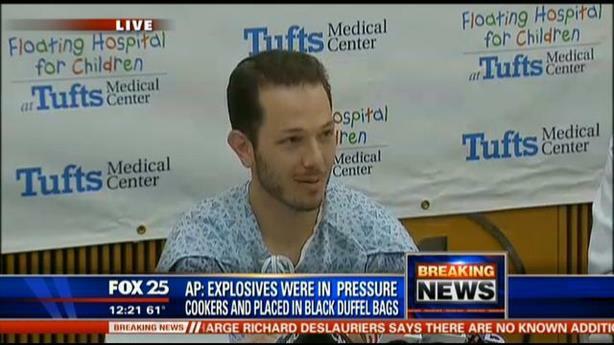 Janbek discussed how the attack may change participation in or attendance at future Boston Marathons. She compared the incident to the 1995 Oklahoma City bombing, after which no one proactively came forward to take credit. One of Rasky Baerlein's interns was injured in the explosion. The situation is especially tense because she is an international student at Emerson College and doesn't have family nearby. It is unclear if she has been able to reach family, Goldfarb said. Other firms decided to take a step back from media outreach on Tuesday. Matter Communications called a moratorium on pitching media in New England. “Today is not the day for that,” said Parry Headrick, VP of marketing and communications at the firm. InkHouse PR has taken a similar view. “We're counseling clients to cease scheduled tweets and for our teams to be sensitive in their media outreach today,” said Beth Monaghan, a principal at the firm. InkHouse's client roster includes General Electric, Raytheon, and Neverfail. This story was updated on 5/14 to reflect that Lasell College is an existing client of Rasky Baerlein and to clarify media coverage involving Janbek.